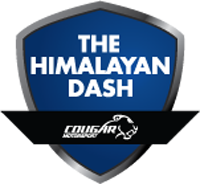 The Himalayan Dash 2019 will start with a check in at Shimla on the 2nd of July and move onwards from the 3rd of July through Sangla, Kaza, Jispa, Sarchu, Hundar & Pangong Tso before culminating at Leh on the 14th of July. 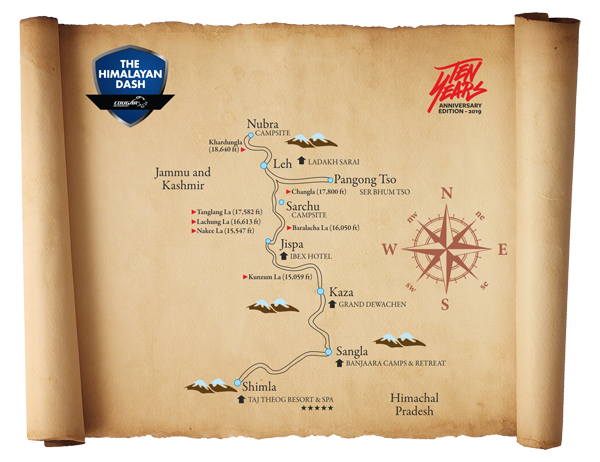 The itinerary is flexible with options to drive in the full 12 night expedition or exit after the 5th or 9th night. Interested participants can Contact Us or send us the completed Registration Documents that are available on the site. Additional details are available in the Terms & Conditions available for download. 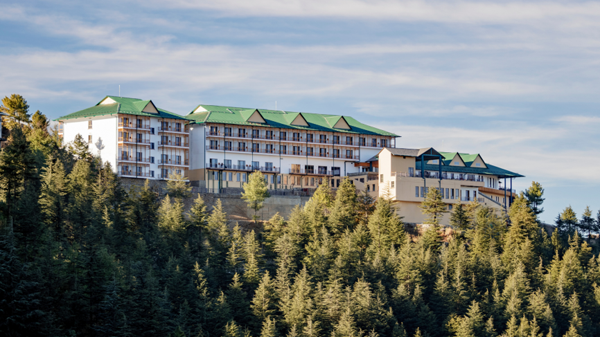 Participants to arrive at Theog, Shimla from their respective cities of origin at their own pace for the evening briefing and night halt at Taj Theog Resort & Spa (Trip Advisor Rating 5/5) (★★★★★), a spanking new Taj property 33 Kms from Shimla that stands tall at the edge of a ridge among coniferous trees. Try and arrive early to enjoy the property – check in starts from 1400 hrs. With an early start, we drive to Sangla in the Kinnaur Valley through parts of the old Hindustan-Tibet road. 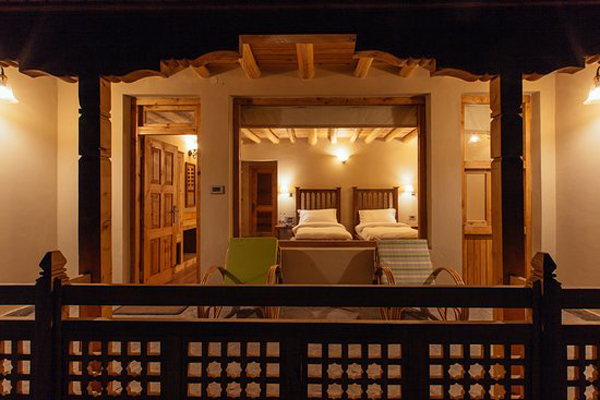 The night halt will be at Banjara Camp & Retreat at Batseri (Trip Advisor Rating 4.5/5). 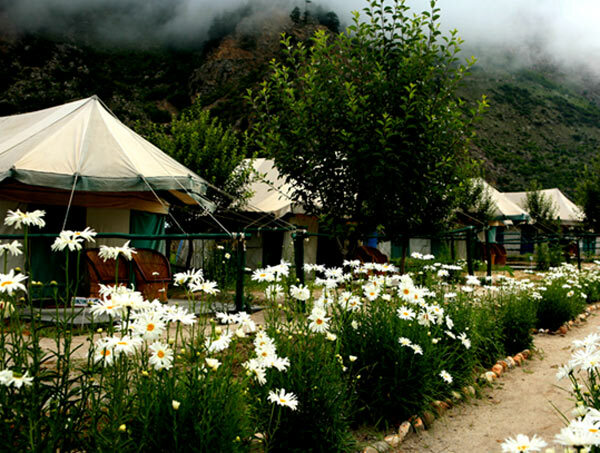 Located at a height of 2,700 mts, the Banjara Camp & Retreat is surrounded by towering mountains on all sides and is set on the banks of the Baspa River that surges through the valley. Approximate driving day of 9 hours. Relaxed day with an option for participants to drive 20 kms to beautiful Chitkul, the last inhabited village near the India-China border, or relax at the Banjara campsite. Approximate driving day of 4 hours. From Sangla, we drive to Kaza in the Spiti Valley. The overnight stay will be at Hotel Grand Dewachen (Trip Advisor Rating 4.5/5), made with local mud walls and ceilings retaining the Spitian tradition. 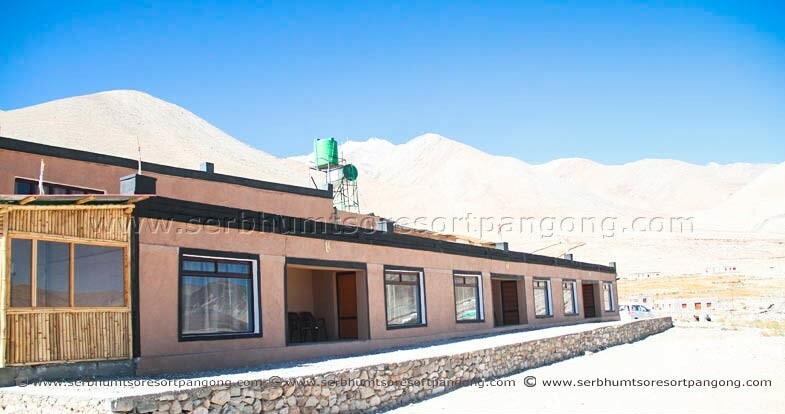 The hotel is situated in the desert yet beautiful location of the largest village of Spiti, Rangrik which is a tourist paradise and overlooks the barren desert mountains of Kaza. Approximate driving day of 10 hours. This is a rest day in Kaza that is known for its colorful festivals and the ancient Sakya Tangyud Monastery. Some other tourist attractions in and around Kaza are the Key Gompa and Kibber village. Participants in the 5 night option will leave the expedition after this. From Kaza, we drive across the Kunzum pass to Jispa, a small village on the banks of Bhaga River (a tributary of Chenab) in Lahaul region. Though the next planned overnight halt is just 72 Km away, a halt at Jispa has been planned for proper acclimatization to high altitude. On our way to Jispa, we will be refuelling at Tandi which is the last fuel station before Leh. The overnight stay will be at Hotel Ibex (Trip Advisor Rating 3.5/5), located on the banks of the Bhaga. Approximate driving day of 8 hours. The road beyond Jispa follows the picturesque Bhaga river across Baralacha La pass. Sarchu is on the Himachal Pradesh-Jammu & Kashmir border. Enroute to Sarchu we will pass the Surajtal Lake. Overnight stay will be at the Goldrop Camp (Trip Advisor Rating 3.5/5), the first camping halt for the expedition. Approximate driving day of 4 hours. After a relaxed day at Sarchu, an early start will take us to Leh. We will cross Zanskar range and climb up the Gatta Loops, a series of 21 hairpin bends carved into the mountainside and then pass Lachung La and Nakee La passes, Pang & More plains and the Tanglang La pass as well. Enroute to Leh we can stop at the Thiksey, Shey and Hemis monasteries. 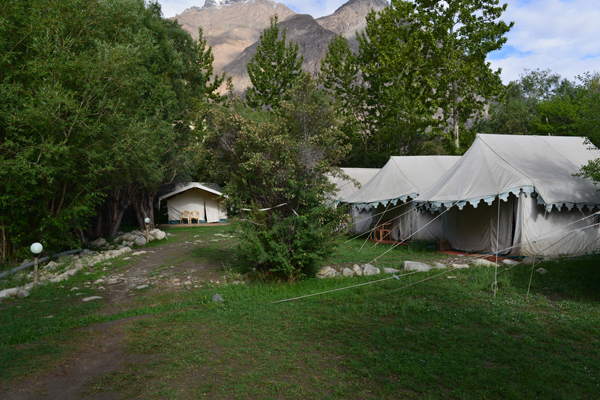 Overnight stay will be at Ladakh Sarai (Trip Advisor Rating 5/5). Approximate driving day of 8 hours. This is a rest day in Leh that can be used to soak in the rich local culture & heritage and to visit some of the monasteries of importance to the region. Participants in the 9 night option will leave the expedition after this. From Leh we drive to across Chang La Pass to Pangong Tso Lake, a saline water lake on the Line of Actual Control (60% of the lake is under Chinese control) between India & China. Overnight stay will be at one of the few built up properties at Pangong Tso, the Ser Bhum Tso Resort (Trip Advisor Rating 3.5/5) at Spangmik. Approximate driving day of 5 hours. We will drive from Pangong Tso Lake to Hundar in the Nubra Valley. This valley, just south of Siachen glacier, separates the Ladakh & Karakoram ranges of Himalayas and is a high altitude desert with scant vegetation. Historically, this was an important trade centre with Central Asia & East Turkestan. In Hundar one can see people with startling blue eyes, auburn hair and rosy cheeks which according to local lore are descendents of a Greek tribe. Nubra is home to several 17th century Gompas including 132 year old Samstanling Gompa & Chamba Gompa. Diskit monastery located on a hill is the largest and oldest monastery in Nubra. Next to Hundar are several kilometers of sand dunes and one can enjoy a camel ride on the near extinct two humped Bactrian camels. Overnight stay will be at the Royal Camp (Trip Advisor Rating 4.5/5). Approximate driving day of 7 hours. Our final drive of the expedition, on which we return from Hundar to Leh across the Khardung La Pass, which was once the highest motorable road in the world. Overnight stay in Leh will again be at Ladakh Sarai (Trip Advisor Rating 5/5). Approximate driving day of 6 hours. © Cougar Motorsport. All Rights Reserved.